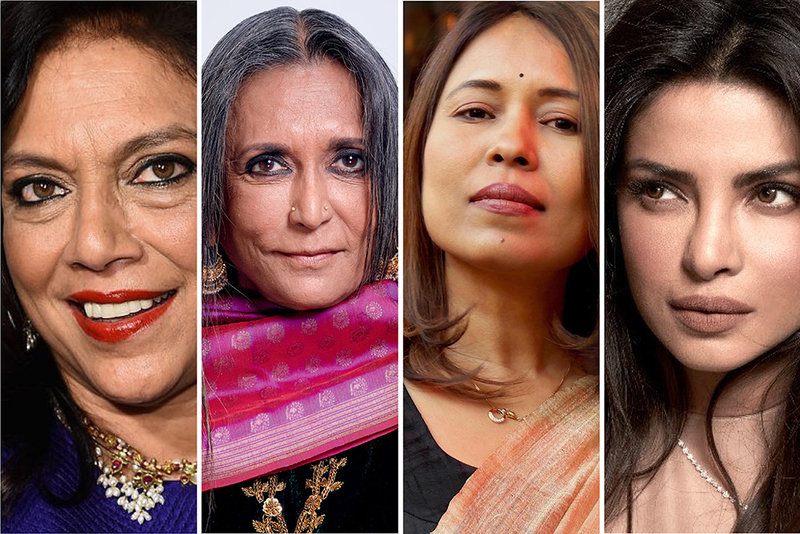 Alongside eleven international women film professionals, directors Mira Nair, Deepa Mehta, Rima Das, and actor-producer Priyanka Chopra will globally champion female filmmakers, through the Toronto International Film Festival (TIFF) initiative. Launched in 2017, the Share Her Journey campaign is TIFF’s ‘five-year commitment to increasing participation, skills, and opportunities for women behind and in front of the camera’. The Share Her Journey ‘Ambassadors’ — 15 women with outstanding talent and mettle — have joined the movement. From India, Nair, Mehta, Das, and Chopra will join the likes of writer-directors Amma Asante (UK), Molly McGlynn (Canada), Joyce Wong (Canada), actor Ellen Wong (Canada), actor-producer Jennifer Podemski (Canada). The campaign will run three-month residencies for female directors as well as speaker series about the industry, and create resources for educators. "TIFF is delighted to welcome Rima [Das] on board as an Ambassador for our Share Her Journey campaign. Her remarkable body of work and passion for championing equality makes her an excellent choice to help us support women in film and move the dial towards gender equity throughout the industry," says Cameron Bailey, Artistic Director and Co-Head of TIFF. Incidentally, the festival gave Das her international breakthrough when it premiered her film ‘Village Rockstars’ which in addition to its unprecedented festival run, was India's Official Entry to 2019 Oscars. The young filmmaker from Assam would like to see more and more women in the industry break the glass ceiling. “It's a huge honour to be a Share Her Journey Ambassador. Through this platform, I would like to bring together voices of people of all genders and collaborate to champion the cause of equality”, she said. Filmmakers Mira Nair (‘Monsoon Wedding’, ‘Queen of Katwe’) and Deepa Mehta (‘Fire’, ‘Earth’, ‘Water’), who hail from India, have been consistently participating at TIFF, alongside their work being showcased. In 2015, the festival honoured Mehta, who is now based in Canada, with a 10-film career retrospective titled ‘Heaven on Earth’. While in 2018 Nair served on TIFF’s Platform competition jury. In 2017, Chopra was Guest of Honour at the festival Soirée, an annual fundraiser which that year supported Share Her Journey. The same year, the festival held a special screening of the Sikkimese film ‘Pahuna: The Little Visitors’ which was produced by Chopra’s Purple Pebble Pictures.